I absolutely LOVE your videos! Your voice is soothing and your demonstrations are slow and perfect. I even love and get chuckles out of background noises in your videos! I look forward to this every week. I love this - I've been looking for something nice for a scarf for a special friend and this is it! Thanks! I'm wondering if this can be easily modified for knitting in the round. Any help would be appreciated, thanks! 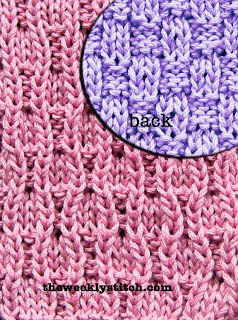 There's a tab at the top of this blog with a link on how to convert for circular knitting. Hi, first I want to say I absolutely love your videos! I am new to knitting and have learned so much from your videos. I was wondering what the (RS) means in your instructions? Thanks for your help and your videos on YouTube. Oh, and thank you for your blog. I will be pouring over your blog. It means right side. You can find that and other abbreviations in the tab above. It just means that is the "public" side of the fabric. Great pattern. 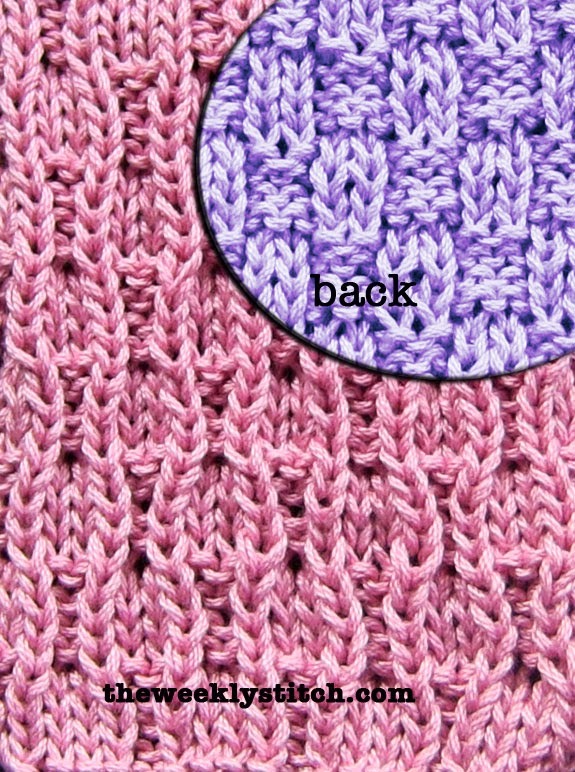 I saw a pattern similar to this one, only it looked like a 1x1 wavy rib trick. Do you have a name for it? leftstriker, sorry I don't know what it could be.